Can you add years to your cat’s life? Maybe. Humans are on an endless quest for a fountain of youth -- keys to longevity and health -- and we'd like to know what might help our pets live longer, too. 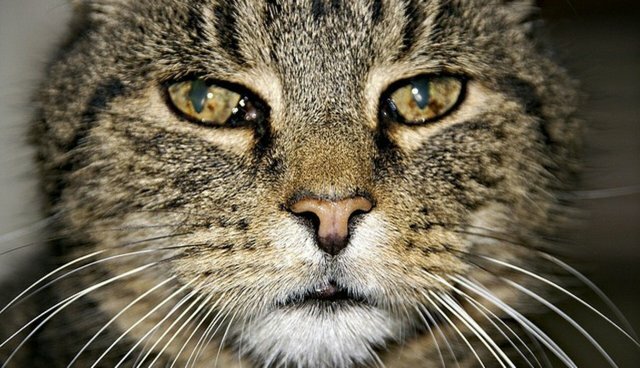 Scientists in the U.K. recently published a study, "Longevity and mortality of cats attending primary care veterinary practices in England" in the Journal of Feline Medicine and Surgery, examining factors that were correlated with increased life span and risk of death in domestic cats. There have been surprisingly few studies on the life span of pet cats. 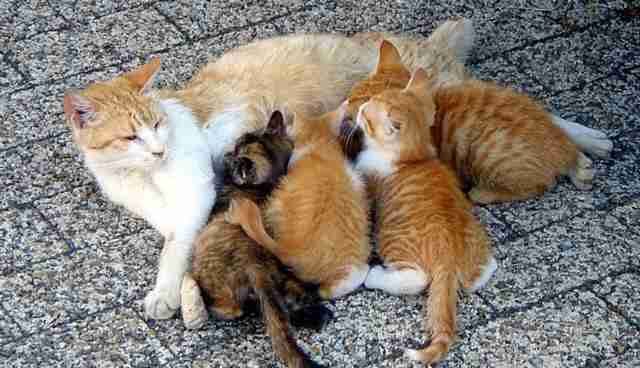 Cats are considered seniors by age 10 and cats typically stop producing offspring by the time they are 11 or 12. Sources report the average life span of cats to be from 10 to 14 years, but little is known about what might cause some cats to live longer lives than others. Some interesting relationships popped up in the dataset. First of all, the median age for cats at the time of death was 14 years, with female cats living a bit longer than males on average (15 vs. 13 years). Purebreds had a shorter life span than "moggies" or crossbred cats (14 vs. 12.5 years on average), with Bengals and Abyssinians having the shortest life span of the purebred cats (it should be noted that the sample sizes for purebreds by breed were relatively small, with an n ranging from 11 to 31). Being neutered and having a lower body weight were also associated with a longer life, and also being non-insured (perhaps insured cats were already ill?). The causes of death were highly dependent on age, although for all cats, trauma was the number one cause of death (12.2 percent of all deceased cats), with 60 percent of those deaths attributed to being hit by a car. This effect was particularly strong in cats under the age of five. For older cats, kidney disease and tumors were also common, whereas young cats were more likely to succumb to viral infections and respiratory disorders. Another thing that kills older cats? Behavior. Of all the cats euthanized for behavior (43 of them, just a little over 1 percent of the sample), 42 were over the age of five (median age 16). There was no information as to whether those behavior problems might have been related to medical issues (e.g., a cat eliminating outside the box due to diabetes or cognitive disorders). While the study did have some limitations, it did have a nice, large dataset with randomly selected records to avoid any potential bias or overrepresentation of particular veterinary clinics. However, people who didn't report a cat's death to a veterinarian are not included. Those cats who do not receive veterinary care may have had a different life span than those who do, or may die for very different reasons. This study also can't tell us that any specific cat will live longer, although there were some interesting patterns that tell us some generalities about the feline life span. The statistical model only explained a small percentage of the variability in the data, meaning that there are other important factors that may have been missing from the analysis, such as diet, outdoor access or vaccination history. And of course, as a correlational study, it cannot tell us what causes a long life span, only what factors might "dance" with it. But this study does bring up some interesting issues. 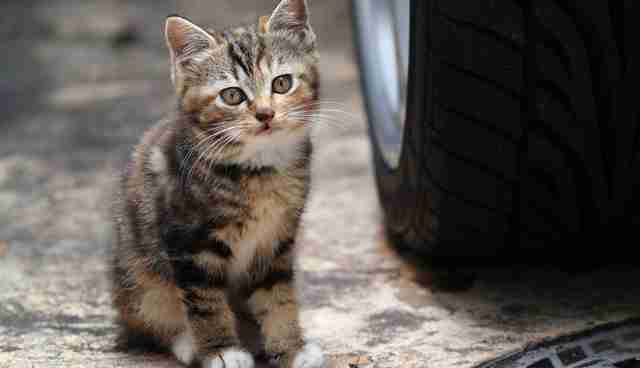 Since a large amount of cats died from being hit by cars, this lends support for the notion that keeping cats indoors is safer and that the risks of danger outside are real. It would be interesting to see if results would be similar in the United States, where more cats are kept indoors only. Neutering cats and keeping them at a healthy weight are associated with a longer life, and there are multiple reasons to do both; altered cats may express fewer undesirable behaviors such as spraying, and keeping cats weight down helps them be more active and reduces risk of problems with diabetes or arthritis. Kittens might be cute, but spaying or neutering increases life span. Photo via Wikimedia Commons. The results of this study also suggest that recent selective breeding of cats is not to their benefit; considering that many purebred cats are relatively expensive compared to "mutts," this shorter life span is not likely caused by a detriment in care due to lack of funds. Inbreeding and smaller gene pools may be problematic for the species, increasing risks of inherited disease or other genetic abnormalities. Finally, for me, it brings up questions about euthanasia for behavior. While relatively low numbers were euthanized for behavior in veterinary clinics, I wonder if it is a major cause of death for cats in shelters. Because the cats euthanized for behavior in this study are older, it would be good to know how the behavioral problems were diagnosed and if there were concurrent medical problems that likely triggered the behavioral issues in the first place. Furthermore, were those clients offered any assistance to help resolve the problematic behavior? Fodder for future studies to be sure!